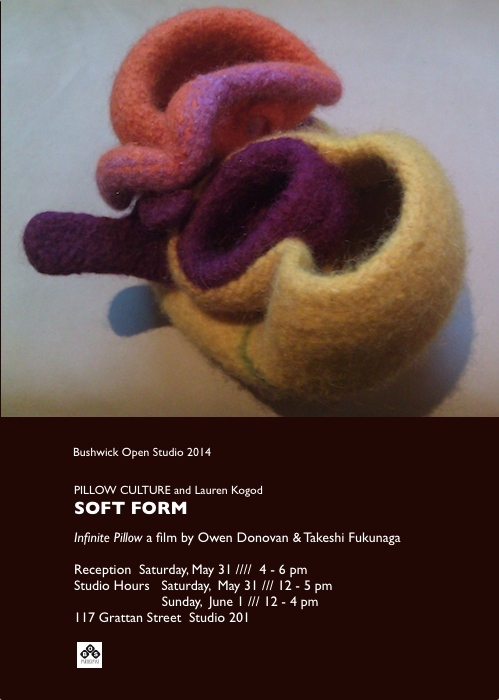 PILLOW CULTURE was delighted to show the beautiful work of Lauren Kogod at this years BOS. Also a real treat to re-show the beautiful one minute film of Lauren’s “Infinite Pillow” by the incomparable film makers Owen Donovan and Takeshi Fukunaga. Thanks to all who came out to the studio.